If you are a regular Smith's shopper, you have probably seen this display as you walk in. If you are not, I would highly encourage you to get there....this week! Now through Tuesday, April 19th, Smith's is celebrating their Savor World Flavor "Taste of Spain". I love food and I love to travel. So I was super excited to be invited to a tour and sampling of some of the products they will be offering during the "Taste of Spain" event. 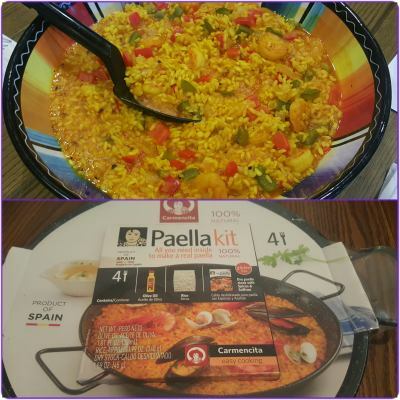 A team of Kroger food explorers personally traveled the regions of Spain and collaborated with local producers and chefs, searching for authentic, yet easy to prepare meal ideas and beverages. Taste of Spain highlights those products brought back. Such as seasoned chorizo, smoked paprika garlicky shrimp, freshly harvested extra virgin olive oil, saffron-flavored pella and smooth, fruity Chardonnay from Navarro. 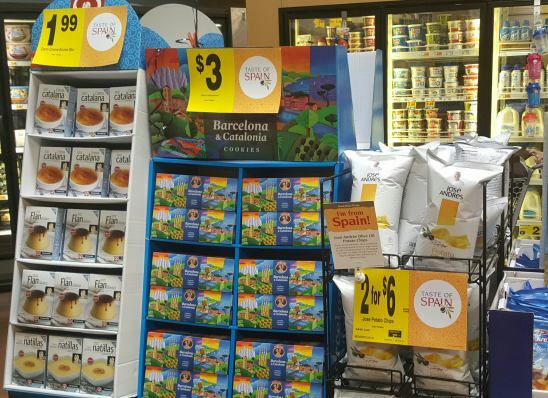 The ultimate foodie event will feature samples, recipe ideas, new food products and events that bring a taste of the Spanish culture of Kroger stores across the country. You can really get creative with the products and if you aren't sure on some of the terms or need step by step instructions, there are plenty of recipe cards along with the displays to help you through. One thing I wanted to show you was some of the prices. When you think ethnic or specialties - you think expensive, right!? Wrong! In fact this entire display had some of my favorite products! Chef Jose' Andres potato chips - oh my! Very addicting! They are made with just three simple ingredients - thinly sliced potatoes, extra virgin olive oil and a touch of Himalayan Pink Salt. So now that you have all this exciting ethnic food from Spain - now what? Have a party! Invite your family and friends over, after all, dining is a social event in Spain. It's all about the tapas! What is a tapa? Yes, I had that same question too as before this event, I had no idea. The word "tapas" means to cover, finger foods originally served on small plates that could be used to cover wine or sherry glasses while socializing. Today, tapas simply means small plates of food - awesome, right! If you love to eat - this is for you! Find more information here with help on planning your party! Now even if you are just not a person who cooks, doesn't even want to try, Smith's still can hook you up! In their deli section, you can find pre-made products just for you. Maybe you just don't have time to cook or need a fast meal. You can find Chorizo & Grilled Peppers, Salmorjo Panzanella, Pasta Bravas and Chicken & Chorizo Paella. In fact Paella (below) is one of the most popular dishes in Spain. Don't be drawn back by the name. Paella is really a simple dish to make, while savory and filling and a dish that is very easy to make your own. 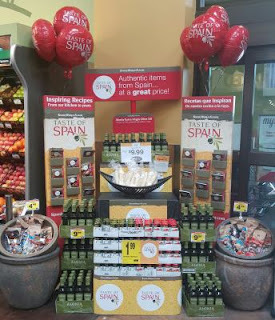 During Smith's Taste of Spain event, you can buy the entire kit - this will make it very easy. Everything you need to make a basic Paella is included form the pan to the olive oil, spices and the rice. You can always add some shrimp, or chicken. Make it even easier by picking up a rotisserie chicken from the deli, shredding it and throwing that in there. Add some veggies as well, can always throw your favorites in and that's what is great about the dish, you can make it to your liking. You can pick up this kit at your local Kroger / Smith's. I learned so much during the event! Here are some fun facts I learned while attending the sampling. Eating is a social event in Spain - love it! Remember this event will end Tuesday, April 19th, so make sure to get in and stock up before these products are gone! 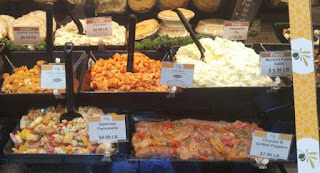 For more details, including recipes and cultural facts please visit www.spanishworldflavor.com. For my fellow couponers, there are also some offered coupons for this event!